So what is the catch here? As you can see by the sponsorship below, this is a mostly Republican bill. But it seems like a good idea. The bill is not evil. 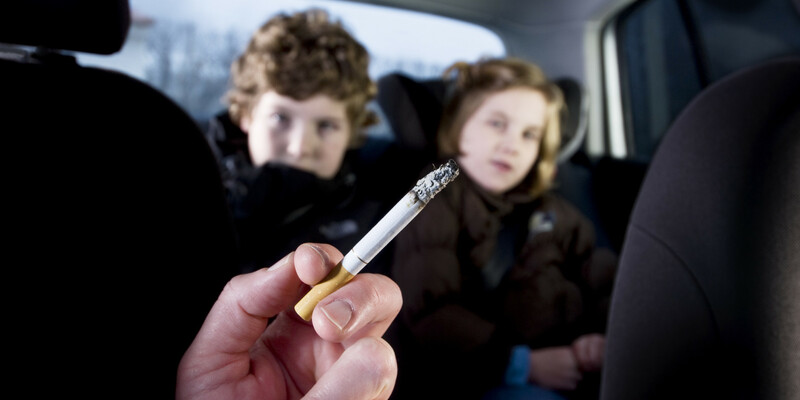 It is closing a loophole in the law about minors possessing tobacco that needs to be closed. Whenever a Republican proposes a good thing, I immediately suspect shenanigans. House Bill 36 was been substituted. The original bill provided a simple punishment of a $50.00 and 25 hours of community service work for the first offense of either buying or possessing tobacco, and the second offense involving $50 and 50 hours of service. The substitute bill maintains the same penalties for purchasing tobacco as a minor, but if you are in mere possession of tobacco as a minor or if you consume it as a minor, the new punishment would be attending an educational course relating to the health issues and dangers associated with the consumption and use of tobacco products or tobacco substitutes for the first offense, and for a second violation be ordered to perform 25 hours of community service work, and for all subsequent violations be ordered to perform 50 hours of community service work. HISTORY: The Bill was substituted on 3.9.17. See above for the changes to the legislation. Assigned to the House Judiciary Committee. Waste of time that will screw a few kids and fall into disuse rapidly. Would prefer they did something useful…. But then again I wonder if that’s possible. I’m not sure I get the point here. Or even how this is meant to be enforced. Believe it’s yet another “Hey Look! We’re getting something done!” maneuver, there will be little or no enforcement. Oh, there will be enforcement in certain communities. It could add to the school to prison pipeline. It will give law enforcement another reason (probable cause) to approach black and brown children. Preventing teen smoking is a laudable goal, but Rep. James Johnson said that making criminals out of youths who light up would be a step backward. A Republican-led bill (HB 36) would make it a crime for minors to possess or use tobacco products, which means those teens would then have criminal records that follow them around. According to U.S. Department of Health and Human Services’ Office of Adolescent Health, tobacco use by adolescents has declined substantially in the last 40 years. Cigarette smoking by adolescents (8th-12th grade) combined has declined dramatically since its most recent peak in the late 1990s, from 28% in 1996 to 7% in 2015. So as Pandora pointed to, this is about giving kids a criminal record. So does this change in the bill change how this offense is recorded for these kids? As in — does either a first or second offense give the kids a criminal record? Good question! I’d also like to track who ends up being charged. Adjudication of delinquency is a factor that is taken into account when trying juveniles for other crimes. I don’t think the substitute bill says anything about adding this offense to the Juvenile Offender Civil Citation Program though – it seems like it should?